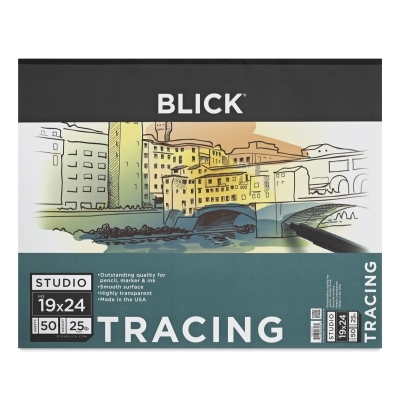 This professional-quality, highly transparent tracing paper has a fine, smooth, hard surface that makes it excellent for tracing and visualizing with pencils, markers, or ink. Pads of 50 or 100 acid-free sheets are available in a variety of sizes. 25 lb (41 gsm).